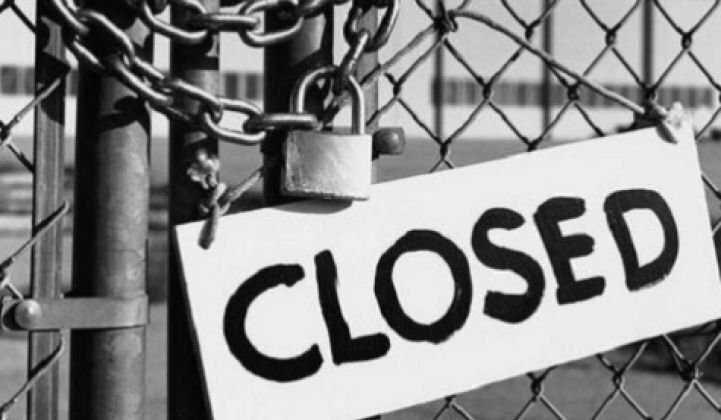 No more ‘Build, baby, build’? Back in 2011, the Federal Energy Regulatory Commission passed Order 745, a rule that allowed demand response to bid into electricity markets and be treated as a dispatchable resource. Practically speaking, this opened the door for companies like EnerNOC and Comverge to aggregate on-demand efficiency and go toe-to-toe with coal, nuclear, gas, and renewable generation in servicing customers. Two years later, this rule is shaping markets in new and unexpected ways. For example, in the face of about 9,000 megawatts of retirements in net capacity, PJM (the RTO that coordinates wholesale electricity in 13 states and Washington, D.C.) has made clear that it will plan to harness more demand response instead of just building new generation. This increasing reliance on smart technology to revolutionize the way efficiency is utilized represents a departure from the supply-side approach that has traditionally governed the "dumb," centralized electricity system of years past. The grid is currently structured to reliably meet peak demand while keeping an additional 15 percent of generation on demand in case of an emergency. This is the equivalent of living in the city and driving five minutes to work, but owning a 400-horsepower truck for the one day of the year that you tow a boat. Demand response is a crucial tool in moving to a smarter grid that is more flexible without compromising reliability. By strategically reducing electricity consumption, demand response can allow lower reserve margins and help shave peak demand, thus reducing the need for new capacity. That’s why this particular announcement is so important. 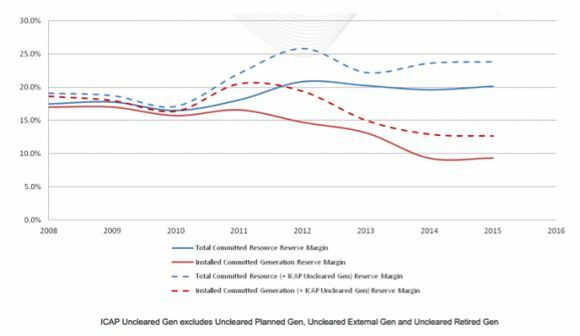 PJM just released data showing that its projected installed generation reserve margin is dropping from 13 percent to 9 percent in 2014. In other words, due to large capacity retirements, PJM will not have enough capacity to provide that 15 percent “buffer” if there are plant outages or downed transmission or distribution lines, as shown by the solid red line on the chart below. However, the solid blue line shows total available resources, which includes demand response. Clearly, demand response has contributed to keeping the total reserve margin at 20 percent -- well above the 15 percent that the North American Reliability Corporation requires. In practice, this means that PJM is likely to call on demand response twice as much in 2014-2015 as it did in 2013-2014, or between 5 and 9 times instead of 1 to 5. There is one important nuance to this story, though. The dotted red and blue lines represent the amount of resources that would be available if additional capacity clears in the market. In other words, since each generation resource bids into the market at its marginal cost of production, there is still a question of how much demand response will actually be called upon. Although demand response can be bid into the market, it would still have to bid in at a low enough price to be competitive against other resources. PJM can also import electricity. So demand response is not guaranteed to be called on more -- it is just considered as one of several resources that are available given the locational marginal price (or spot price), of electricity at the times it is needed.